A previous post discussed how an exchange of emails can result in a binding contract. But can you really create a contractual obligation by sending a text? A recent case in Massachusetts hints that this too, is a possibility. The buyer then signed the LOI and provided a check to the seller. However on that very same day, the seller accepted a third party’s offer for the property, and refused to countersign the LOI. This being the United States of America, rather than look for another property, the buyer decided to sue. The court focused on whether the emailed LOI, together with the text message, was sufficient to satisfy the Statute of Frauds, which requires all land sale contracts to be writing. 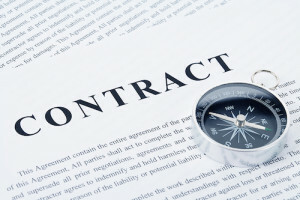 The court held that, because the LOI set forth the terms of the deal in detail, and the text message was “signed” by “Tim” (the seller’s broker), there could be an enforceable contract. The facts of the case revealed that sometimes the brokers signed their names at the end of text messages and emails, but at other times they did not. When unsigned, the text messages tended to be briefer and more informal. The court reasoned that adding their names to the end of certain messages and not to other, more informal messages evidenced an intent to be legally bound by the signed text message. In other words, it’s possible that Tim intended his signature to form a legally binding contract. This may have not been Tim’s intent at all- he may have just been trying to be polite, which supports the old adage that no good deed goes unpunished. This decision (which by the way, was not the final decision in the case, which is still going on), opens the way for including additional types of communications that can serve as signatures, but it doesn’t necessarily mean that this will inevitably become the law of the land. California law expressly excludes electronic messages “of an ephemeral nature,” such as text messages and instant messages, from forms of writing that can satisfy the statute of frauds, and many states may follow suit to avoid someone accidentally agreeing to something as the result of a polite tweet. Whatever the future may hold, the one thing to keep in mind when texting, emailing, or tweeting, is to think before you send. If you’re discussing a deal, simple statements like “looks good to me,” while harmless in intent, may cause serious problems.